May 6 is Bladder Cancer Awareness Day. While you might immediately think about learning about this condition, your parent’s risk, and how you can help them to get through it when you think about awareness, as a family caregiver it is particularly important that you learn about how you can help your parent after their cancer journey comes to an end. For the rest of their life they will be a bladder cancer survivor, and that means helping them to integrate this reality into how they live moving forward so that they can stay mentally, emotionally, and physically healthy, and continue to find meaning in their later years. • Live a healthy lifestyle. Encourage your aging parent to keep their body as healthy as possible by supporting a lifestyle of good choices. This includes eating a well-balanced diet, staying active, and remaining compliant with instructions, treatments, and medications from their doctor. If your aging parent has recently been diagnosed with bladder cancer or is at increased risk of this disease and you feel that they would benefit from additional care, now may be the ideal time for you to consider starting elder care for them. 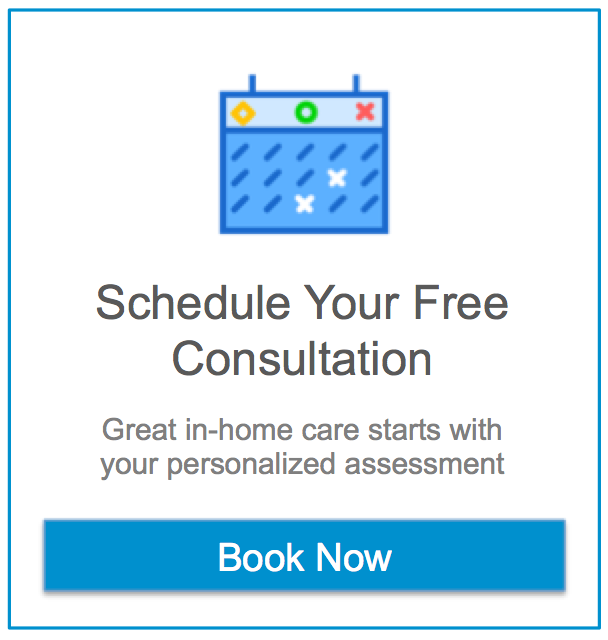 An elderly home care services provider can be with your aging loved one on a fully customized schedule that ensures that they get everything that they need when they need it, while also supporting you remaining at the front of their care management. A cancer journey can be extremely difficult, and the highly personalized services of an elder care provider can make it so that your aging parent gets everything that they need to manage this journey physically, mentally, and emotionally in the way that is right for them. This can include providing valuable reminders to remain compliant with their medications and guidelines, helping them to make lifestyle choices that will help to keep their body healthy and strong, and offering companionship, support, and encouragement to keep their mental and emotional health high, and support better quality of life as they age in place. As a family caregiver this can give you tremendous peace of mind and allow you to ensure that you are also taking the time to take care of yourself and your other obligations while knowing that your parent has the proper care. May is Bladder Cancer Awareness Month! If you or an aging parent are considering in-home elder care in Litchfield Park, AZ, please call the caring staff at Assisting Hands Home Care. Serving North Phoenix, Glendale And Surrounding Areas. Call Us 602-362-6610. Previous post What Are the Best Ways to Handle Differences of Opinion with Other Family Members? Next post Can Alzheimer’s Be Prevented?